Police are continuing to appeal for information following the murder of a woman at her home in Burnley. 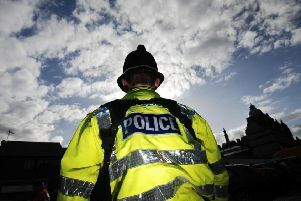 Leanne Unsworth (40) was found dead at her home in Marlborough Street, Burnley Wood, at around 7-15pm on Monday night. It is believed she suffered serious head injuries. On Tuesday afternoon, two men aged 38 and 39 from Burnley were arrested in Wythenshawe, Manchester, on suspicion of her murder. Det. Chief Insp Zoe Russo from Lancashire’s Force Major Investigation Team, said: “We are aware of a number or rumours circulating locally and would ask people not to speculate on the facts whilst we carry out our investigation for the sake of Leanne’s family. We are continuing to support them through this devastating time. “I would like to reassure people that we believe Leanne's killer was known to her and there is nothing to suggest that there is a wider threat to the public. My advice to people is to carry on with their daily business as usual. A post mortem examination to establish the cause of Leanne’s death will take place in due course. You can call 101 quoting incident reference 1155 of January 14th. Alternatively, you can contact independent charity Crimestoppers on 0800 555111or online at crimestoppers-uk.org. Meanwhile, Burnley Wood Coun. Christine White, has spoken of the shock expressed in the tight-knit community. She said: "I was very sad to hear of this news. My sincere thoughts go out to this lady's family. "I spent some time on Marlbough Street yesterday talking to some of the neighbours. "This street is a close community, most people know one another. They are very saddened to hear of what happened."